The first half of the year was so busy, filled with life-changing events. The last half had a lot more slower, sweeter moments. With the wedding and everything else going on, I definitely didn't get to see these babies enough this year. 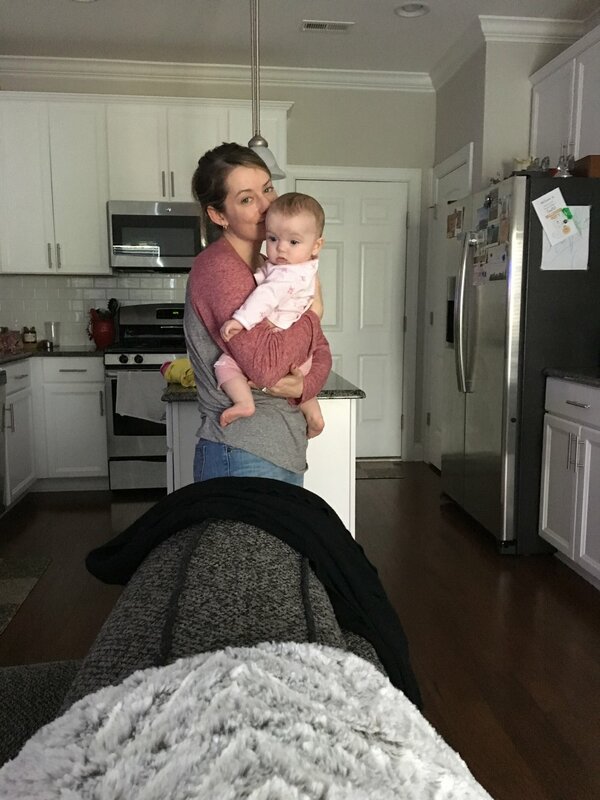 I was able to pop back to North Carolina for a few quick trips, and soaked up all the time with my niece and nephew that I could. On one of my trips home, I surprised one of my oldest best friends Casey for her 30th birthday. I loved being able to do that and visit family at the same time. I'm planning to get back more in 2018. 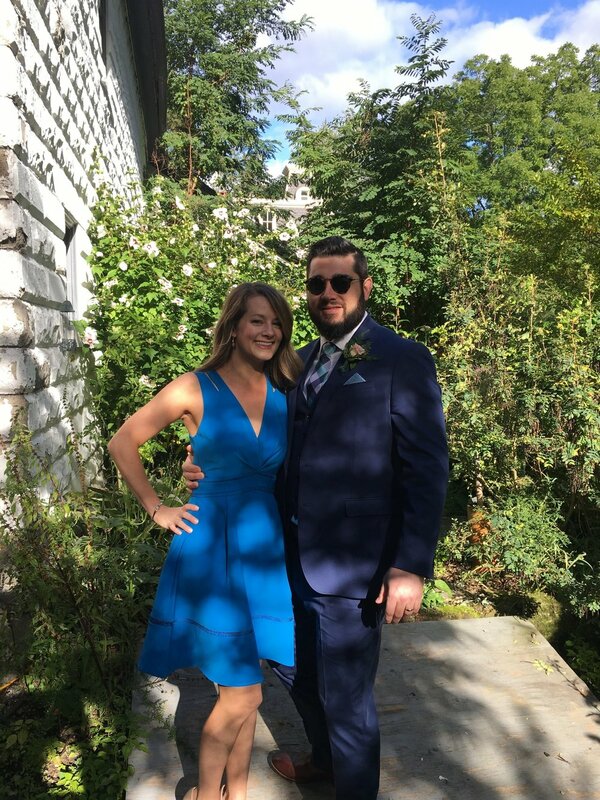 Andy's brother Brian tied the knot in September. The wedding was in upstate New York in an really neat rustic barn house. Andy was a groomsmen. I was just excited to go to a wedding that wasn't my own! I'm so happy to have another Mrs. Allegretti officially in the family! In October, Andy had a work trip to Ireland. I decided to cash in some Chase points and join him at the tail end of it. We stayed in Dublin for a long weekend and had no real plans but wandering and exploring. It was so beautiful there in the fall. 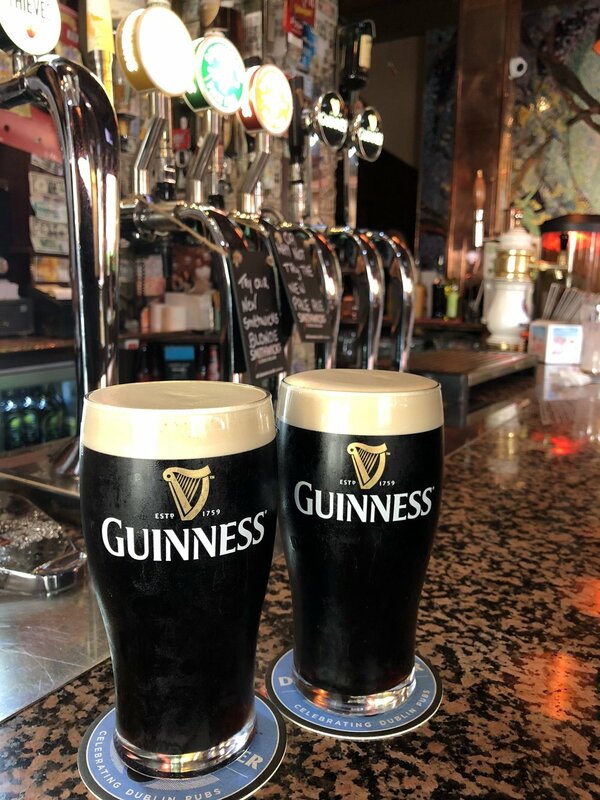 The country got hit by Hurricane Ophelia on the last day of our trip, so we found a pub and hunkered down with many pints of delicious Guinness. In early December we had some friends visit from Ireland who had never been to NYC before. We did a whirlwind tour, including a visit to Ground Zero, where we saw this beautiful tree. If you don't know about the Survivor Tree at Ground Zero, you should take a minute and read about it here. Most of the trees at this point had already lost most of their leaves, but the story behind this tree makes it even more amazing. The first snow fall of the year. There's nothing more magical than when snow begins to fall over New York City. Two of our best friends visited and NYC put on quite the show for them with the snow and Christmas decorations. On Christmas breaks in previous years, you'd find us driving from one state to the next visiting family. This year we only had a few vacation days left by the time Christmas rolled around, so we decided to stay put and spend our first married Christmas in NYC. We got a tiny real tree and tried to cross off as many NYC bucket list items as we could. It was strange not seeing family (although the moms did visit, and thank goodness for FaceTime! ), but we always remember this special Christmas we spent together.